Picture & Quote Uploaded By Scotty. Picture & Quote Uploaded By Haywood. Flowers always make people better, happier, and more helpful; they are sunshine, food and medicine for the soul. 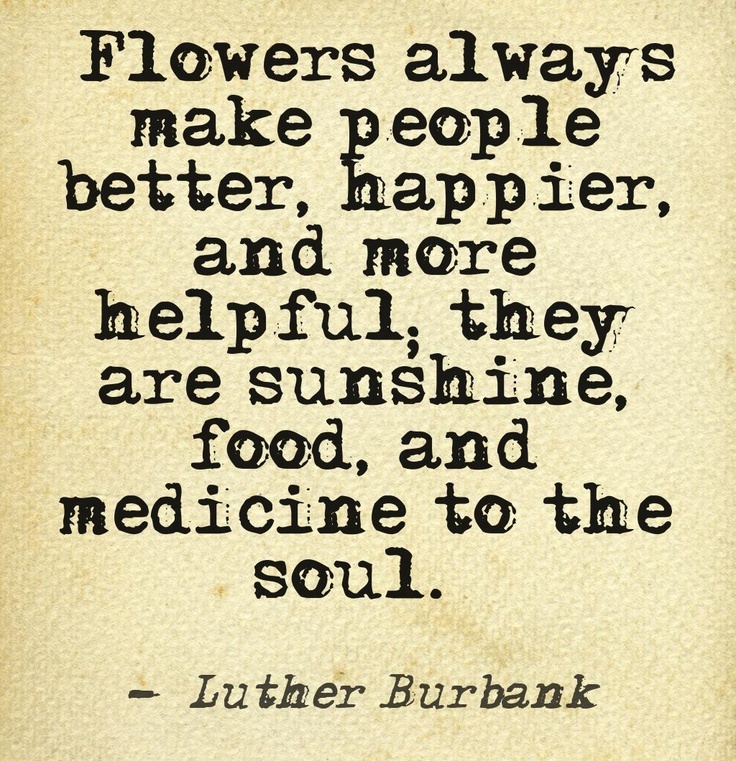 – Luther Burbank. Picture & Quote Uploaded By Vicente.